The 0.10.4 should fix 26 different bugs and lots of these are not bound to the 0.10 release. It took longer time to emerge for some of the older problems that were present even in the 0.9 stable version. The reports from the bugfixing work is quite monotonous and it seems to us that it is never ending story as well, but if we push a lot, we might aspire for the stable release with 0.10.5, so we could all start to concentrate just on the next big release. 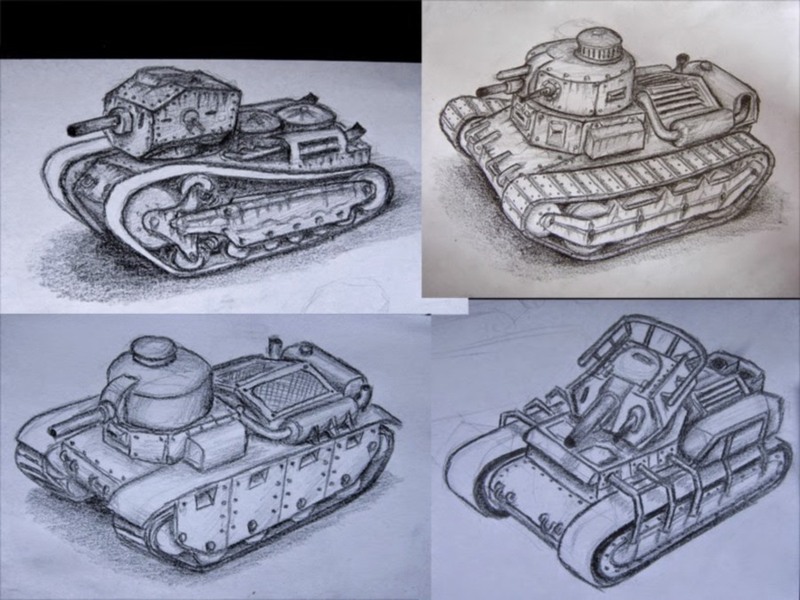 I believe we are quite good at making decisions covering topics, where objective view exists But sometimes (often) it is problematic for us to agree on something so trivial as what kind of tanks should the player use in Factorio. The talk can be long. It includes the talk about the past of the player, how does he think when building these machines. What does he know about the principles of fighting machines. Where, technologically, should these tanks be in the research, etc.. It is usually finished only because someone is too hungry to continue. Ok it is usually me who is hungry. I'm always hungry. 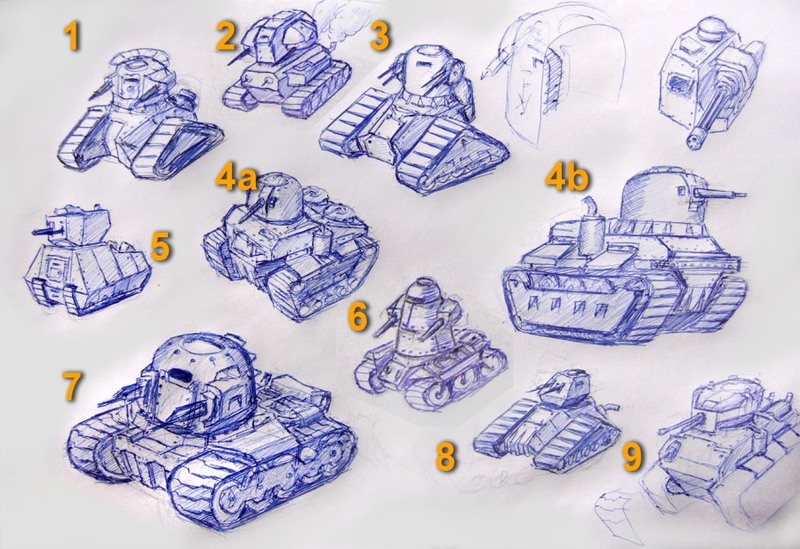 Never mind, here are the rough candidates for tank we are considering.